Brent Fisse has extensive experience in trade practices and competition law, corporate regulation and e-commerce. He has acted for clients in a wide range of industries including information technology, health, telecommunications, energy, transport, motor vehicles, music, metals, retail grocery, financial services, sport, tourism. recruitment and publishing and broadcasting. He has also acted for several regulatory agencies. Brent became a partner of Gilbert + Tobin in 1995, after acting for the firm for two years as a consultant. At Gilbert + Tobin he practised mainly in trade practices and competition law and telecommunications regulation, often for Optus against Telstra in the mid-to-late 1990s. With Greg Corrigan of Tankstream Systems, he also developed G+T online trade practices compliance training programs for many leading Australian companies. Since retiring from Gilbert + Tobin in 2004, Brent has run his own specialist trade practices advisory practice. He also continues to develop online compliance applications with Greg Corrigan and Tankstream Systems. In 1995 Brent advised the ACCC on alternative sanctions against corporations, in the form of draft legislative proposals and a commentary on corporate probation and community service orders. More recently, he advised the Commerce Commission of NZ in a range of competition law matters. In 2010, 2011 and 2012 he assisted the Federal Court in running workshops on cartel offences and criminal cartel trisls. 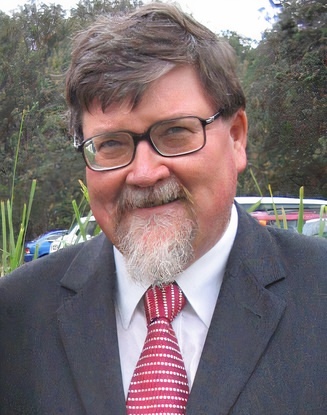 Brent has assisted in the work of various law reform agencies, including: the SA Penal Methods Reform Committee 1973-1974 (consultant); the ALRC (Powers of Criminal Investigation 1974 (consultant); Compliance with the Trade Practices Act 1994 (Commissioner part-time); Principled Regulation: Civil and Administrative Penalties in Australian Federal Regulation 2002) (member, Advisory Committee)); and the NSW Law Reform Commission (part-time Commissioner 1990-1997). He acted as a consultant to the Attorney-General’s Department in 1974-1975 (Federal Criminal Code project), and as a member of the drafting committee for AS 3806 Compliance Programs in 1997-1998 and 2005-2006. Brent is the co-author (with Caron Beaton-Wells) of Australian Cartel Regulation, published by Cambridge University Press in February 2011. Other books and papers include: Corporations, Crime and Accountability (with John Braithwaite. 1993), The Impact of Publicity on Corporate Offenders (with John Braithwaite, 1983), Securities Regulation in Australia and New Zealand (co-editor 1st & 2nd eds with Gordon Walker and Ian Ramsay); “Reconstructing Corporate Criminal Law: Deterrence, Retribution, Fault and Sanctions” (1983) 56 Southern California Law Review 1145; and the fifth edition of Howard’s Criminal Law (1990). Brent taught at the University of Adelaide Law School from 1964-1985 and from 1985-1995 at the University of Sydney where he was a professor of law. His other academic positions have included: Bicentennial Fellow, University of Pennsylvania (1968-1969); Research Professor, University of Delaware, 1981-1982; and Mitchell Distinguished Visiting Professor, Trinity University, San Antonio, 1984. He is an honorary professor at the University of Sydney Law School. Brent is a member of the American Bar Association Antitrust Section and the Law Council of Australia’s Competition and Consumer Committee. He is the managing director of Lexpert Publications Pty Ltd.